Being the big fan of one-pot meals that I am, the “side dish” sections of my cookbooks often get ignored. But when I’m browsing indexes by ingredient, recipe titles rarely give a hint of whether they’re a main dish, side dish, or something else. 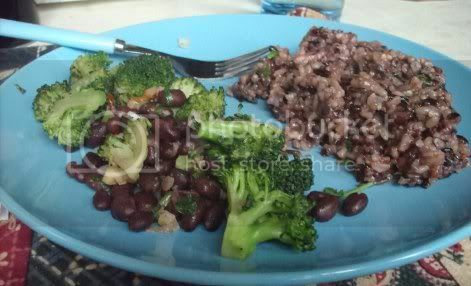 Hence how I wound up looking at a black bean, broccoli, and walnut concoction in 1,000 Vegan Recipes and knowing I had to make it. But what to make with it? The suggestion for turning this side dish into a main one was to simply serve it over rice or quinoa–a nice idea, but not exactly what I was looking for. I spent a good deal of time thinking, did I really want to just cook up a grain and call it a meal? Finally, it hit me: wild rice blend! 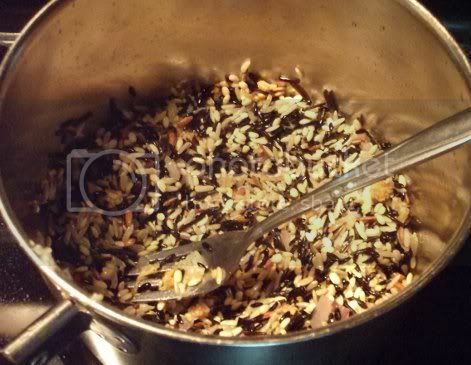 But not just wild rice blend on its own; I wanted some good seasonings to make it especially flavorful. And since I like dishes that cook rice and veggies in the same pot, I took that concept and came up with this recipe. You can use whatever wild rice blend strikes your fancy. It tends to be a bit cheaper than 100% wild rice and has a robust, nutty flavor that puts it a cut above other rice. The shallots and garlic lend just the right amount of zip and the parsley gives it a splash of color. This can also be served chilled as a side salad with a few chopped walnuts and dried cranberries thrown in! 1) In a small saucepan, heat the oil over medium heat. 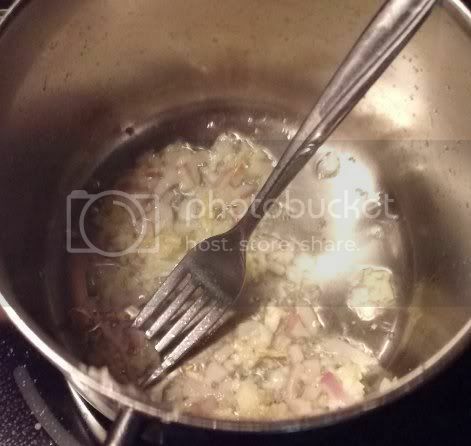 Add the garlic and shallots and satuee until softened, 3-5 minutes, being careful not to burn. 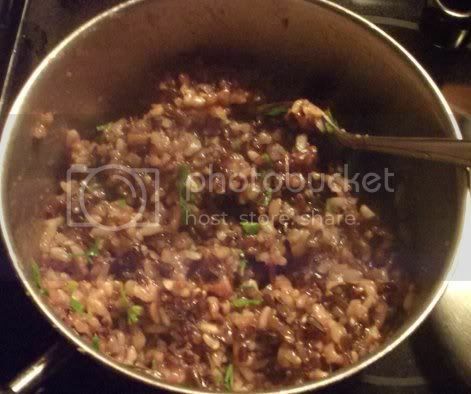 2) Add the rice and sautee for another minute, stirring to coat with the oil. 3) Add the broth, bring to a boil, then cover and simmer until the rice is tender and the liquid has been absorbed, 55-60 minutes. 4) Just before serving, stir in the parsley. Serve hot. 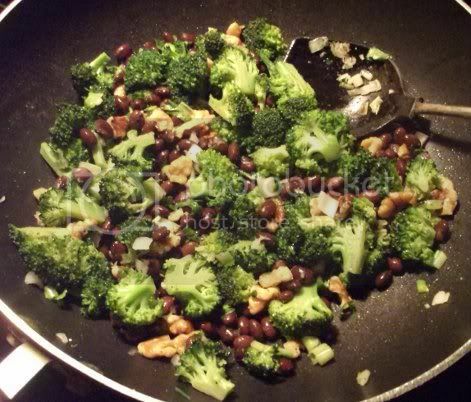 It worked out perfectly as a side to the broccoli, beans, and walnuts. I wound up mixing the two together and eating it that way. I’m a fan of rice and walnuts to begin with, so of course I enjoyed the combination!